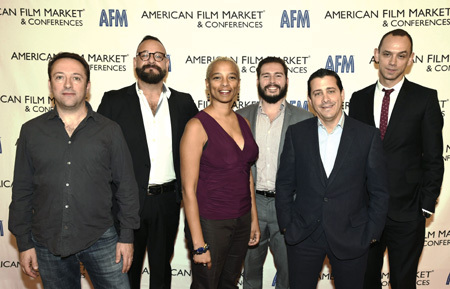 The American Film Market in Santa Monica not only opens eyes to the vast world of entertainment product in the works, but also the numerous markets and media channels through which one’s own product may find success. Whether you are old school or a Millennial, Steven Spielberg or a newbie, an employee of Warner Bros. or the Weinstein brothers, you are in the same boat with all the rest of us. You can’t guarantee how many people will actually watch your movie. This is because of another “big bang” going on, right here on planet Earth. “The biggest problem now is blurred lines between indie film and television,” said chief operating officer and president David Glasser of The Weinstein Company, a prolific champion of independent filmmakers since 2005. 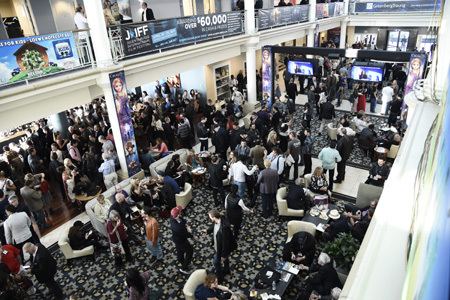 “We can’t seem to get people off their couches due to great content [they can watch] on their great big 4K televisions.” He was speaking at the Fairmont Miramar Hotel during the conference portion of the 2016 American Film Market (AFM) in Santa Monica, CA. Micah Green, co-head of film finance at the Creative Artists Agency (CAA), thinks Netflix and Amazon throw a huge wrench into theatrical movies and thus have forced a paradigm shift. They spend a lot on original product to stream, putting out very impressive titles that never will see the inside of a commercial theater. 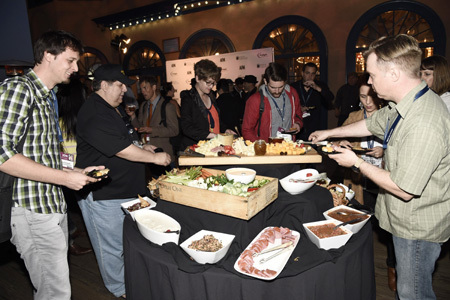 Nestel sees these eclectic stories as the current focus for his company, The Solution Entertainment Group, trying for volume in product instead of the “tentpole epic” movie. “We build libraries. Now, we may make just eight to 10 movies a year, half of the old days, but our buyers are looking for something special that separates their catalog from the others,” stated Nestel. The good news is the playing field continues to level. A producer with a small title can now put a quality package together and get in the game with access to multiple venues. There is room at the top for bold innovators! Alas, there are no more filmmakers. We are all content producers and need to be able to shift if needed between platforms, dependent on where the content is needed. No longer are stories specific to theatrical presentation, or made-for-television, or direct-to-DVD. Nowadays, a story could be tweaked or caressed into documentary material, then shot as a broadcast television movie or miniseries. With mobile devices, the same story can also appear on cell phones, as Webisodes, or through other digital media avenues. Just wait until virtual reality becomes profitable! What new revenue streams exist for your particular story? By sheer numbers, Hollywood is overwhelmed with movie ideas. One of my friends, the actor Scott Wilson, left the number one television show in the world last year after five seasons. He played one of the most popular characters on THE WALKING DEAD who was killed off, shocking fans everywhere. When we spoke afterwards, he was trying to land “low seven figures” for shooting a script while his star was hot. He asked me if I could help him using my Midwest contacts. I was quite surprised to learn that all money in California was spoken for a year or two in advance. Imagine that! You and I shouldn’t feel bad if the star of THE WALKING DEAD can’t get his own movie project funded. If independent productions are being made by everybody large and small, there must be abundant money to help make them, right? It’s not that easy. I have another friend who used to work for Spielberg himself at DreamWorks, spending 40 hours a week in seeking money from around the globe. Even a star filmmaker has to work for it while the best sales professionals show up at AFM, a great place to find answers on how to get eyeballs on our story. With millions of possible new eyeballs in Asian markets, for example, that may seem to be a great avenue for your film. However, in China – the largest single market in the world by far – an annual quota is enforced on the number of films from the United States that can play its theaters. It is pretty low, compounded by “blackout periods” when only domestic productions are allowed to open. This should change but not in the foreseeable future. The presence and popularity of American movies in their culture has influenced Chinese production companies to improve their production values and increase salability. (Conversely, films originating from China and other Asian countries do not do well at the American box office apart from the rare hit like HERO or KUNG FU HUSTLE.) Therefore, China is investing resources to transform its movie system into a “Hollywood for the East,” going so far as to construct the largest studio in the world and hire Western “above the line” professionals to assist them. One upcoming film is THE LADY AND THE PANDA, the story of the first person to bring a giant panda out of China for the entire world to see. A co-production between Chinese and British companies with actress Rebecca Ferguson (MISSION: IMPOSSIBLE 6) and filmmaker Justin Chadwick (TULIP FEVER) attached, it may work on many levels and satisfy the Chinese and American markets if not more. A recent release, THE GREAT WALL with Matt Damon, played theaters earlier this year. 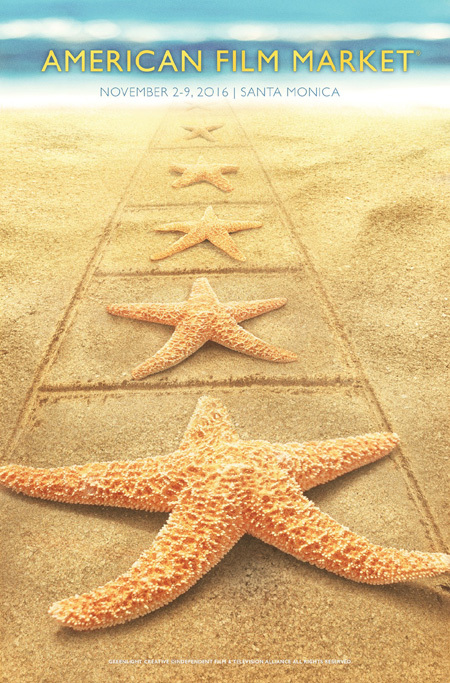 U.S. distributor Universal Pictures funded about 25% of the film’s $150 million production budget with China-owned Legendary Entertainment, China Film Group, and Le Vision Pictures splitting the remainder. It attracted a lot of eyeballs worldwide but did not do particularly well here, attributed to American-style tentpole fatigue and social media criticism of Damon’s front-and-center Western presence in an otherwise Eastern adventure. It is an arguable win/lose situation the industry can learn from. While the theatrical experience will always suit certain movies, especially event-driven ones like THE GREAT WALL, others will need to be developed with younger audiences and mobile devices in mind. Are you looking ahead for your next story idea that will play in multiple avenues? Through all your research and hard work, if your story is good, it is eventually going to get made and seen. Don’t give up! 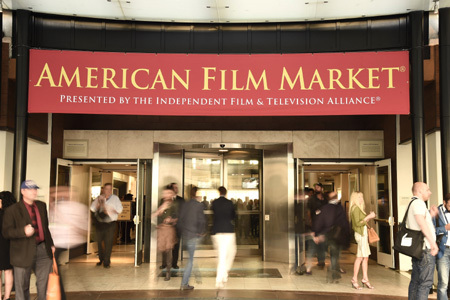 The 2017 American Film Market will take place November 1-8. Article © 2017 Robin Christian. Used with permission. This entry was posted on Friday, September 29th, 2017 at 11:00 am	and is filed under Article du C-U, Business Matters, Gone Hollywood. You can follow any responses to this entry through the RSS 2.0 feed. Both comments and pings are currently closed.